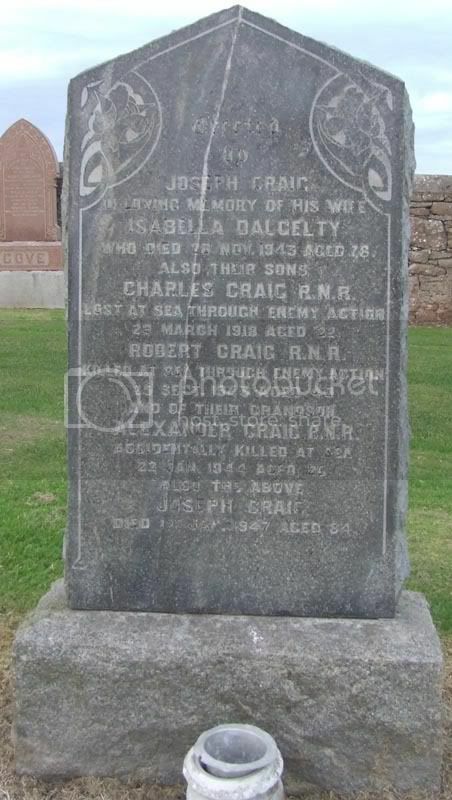 Additional information: Son of Joseph and Isabella Dalgetty Craig, of 3, Craig's Close, Gourdon, Montrose. Unit Text: H.M. Trawler Franc Tireur. Additional information: Son of Joseph and Isabella Craig; husband of Margaret Craig, of Aberdeen. Grave/Memorial Reference: Panel 11, Column 2. Grave/Memorial Reference: 5. J. 6. Grave/Memorial Reference: Pier and Face 15 A and 16 C.
Additional information: Son of William Davidson, of 32, King St., Bervie, Kincardineshire. Grave/Memorial Reference: VIII. C. 173. 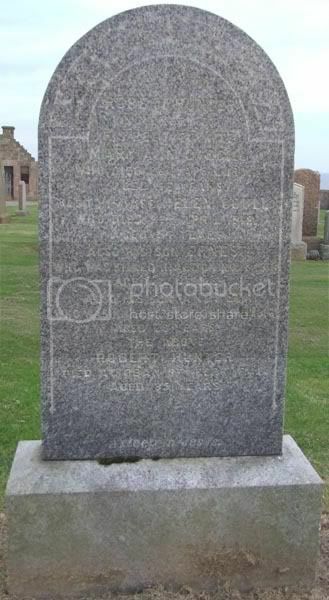 Additional information: Son of Hugh and May Douglas, of 48, Queen St., Gourdon, Montrose. 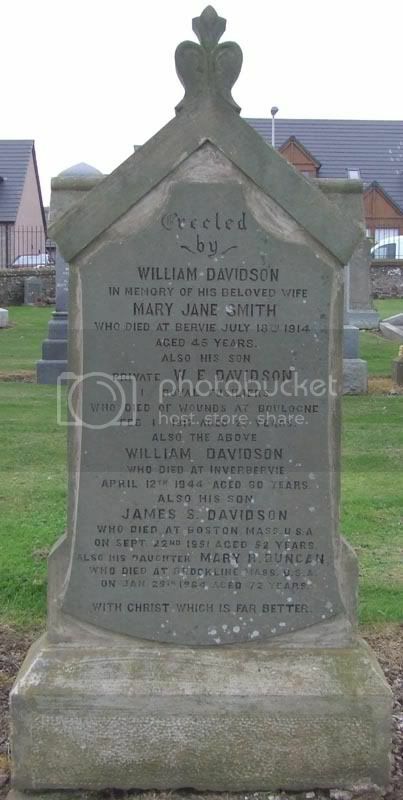 Additional information: Son of Margaret Elliot, of 15, Kirkburn, Inverbervie, Montrose, and the late John Elliot. 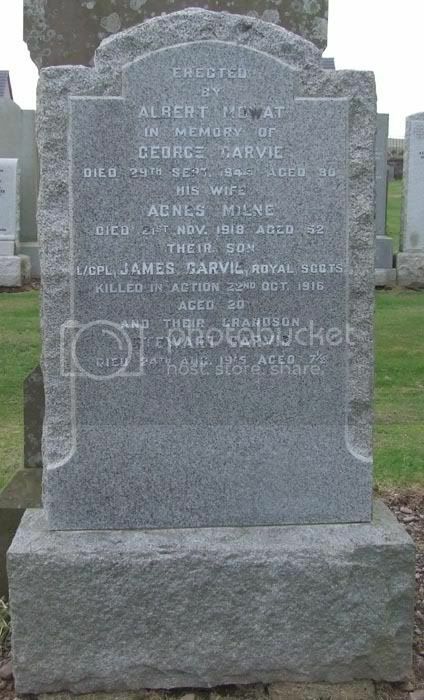 Additional information: Son of George and Agnes Garvie, of 48, David St., Bervie, Kincardineshire. Additional information: Son of James Buchanan Gibb and Wilhelmina Buchanan Gibb. Unit Text: "C" Coy. 7th Bn. 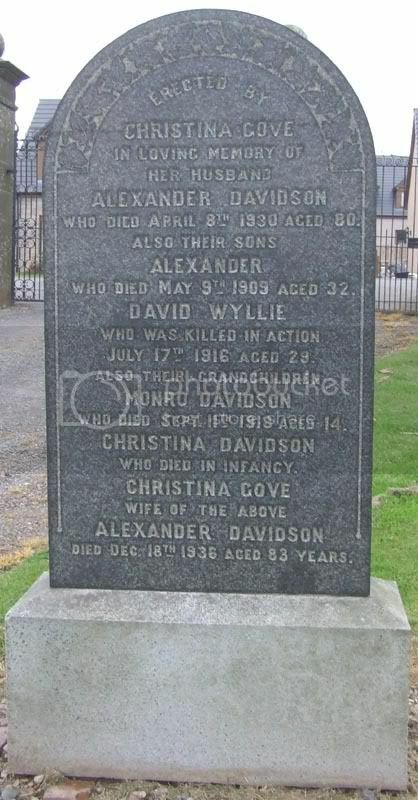 Additional information: Son of Munro and Bridget Watt Gove, of Scotston of Kirkside, St. Cyrus, Montrose, Forfarshire. Picture of Andrew Gove supplied by his Niece's husband Graham Luxford. 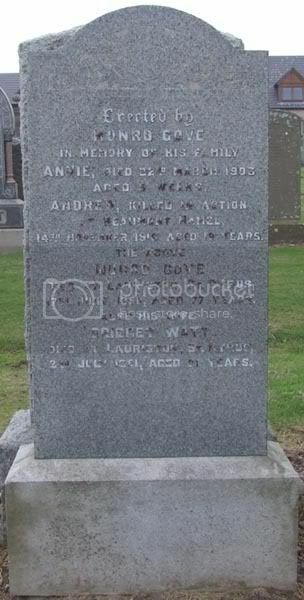 Additional information: Son of Alexander M. and Mary Gray, of 27, Townhead, Inverbervie, Kincardineshire. Erected by Robert Hunter in memory of his wife Mary Ann Cargill who died April 1901 aged 42. Also his wife Helen Coull who died April 1918 aged 54. Also his son Ernest who was killed in action Nov 1916 aged 27. 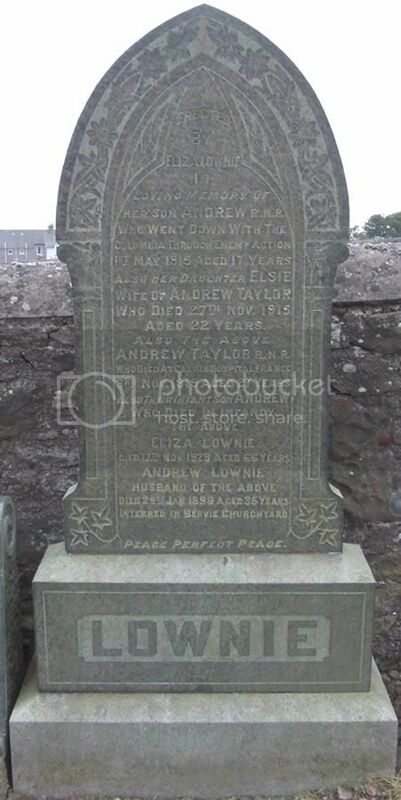 Also his son Andrew who was killed in action Nov 1916 aged 23. Unit Text: H.M. Trawler "Columbia." Additional information: Son of Eliza Lownie, of I, William St., Gourdon, Montrose. Additional information: Son of Margaret Taylor. Grave/Memorial Reference: VI. C. 2A. Unit Text: 100th Siege Bty. Grave/Memorial Reference: III. O. 8. 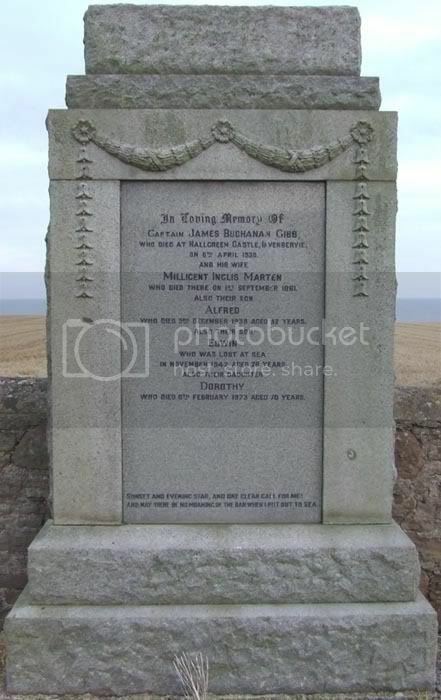 Additional information: Husband of Nellie Paterson Milne, of Hillfoot, Oyne, Aberdeenshire, Scotland. 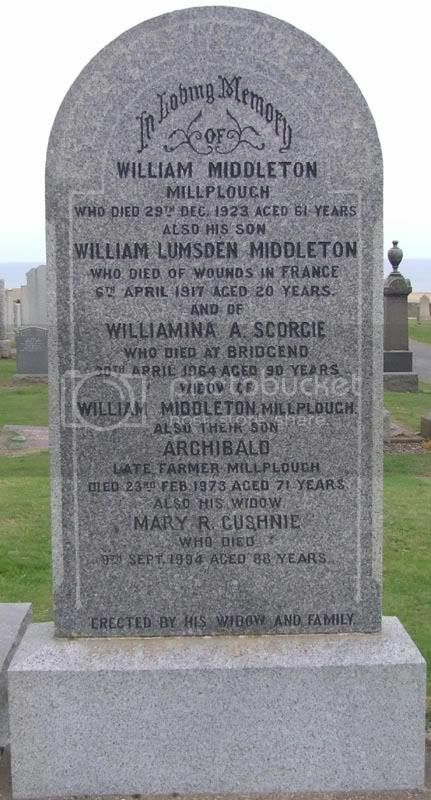 Additional information: Son of Mr. and Mrs. William Milne; husband of Charlotte Milne, of Bridge of Dun, Angus. Additional information: Son of Elizabeth Moncur, of 38, Brae Rd., Gourdon, Montrose, and the late James Moncur.